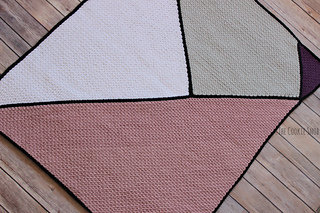 This pattern will show you how to make a geometric, modern looking baby blanket. 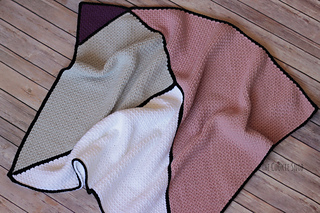 Sections of the blanket are made using the c2c moss stitch and then fitted together like a puzzle with thick, bold seams. 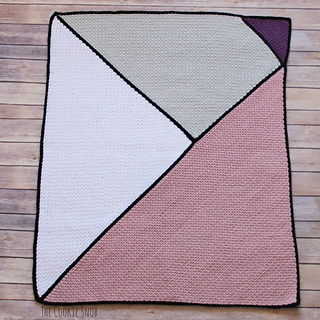 The pattern includes suggestions for 2 other joining methods if you don’t want to use the original method. 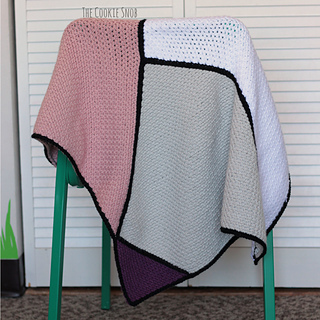 The blanket can easily be adapted to make it a different size, works with any color scheme, and can be used with different yarn weights. 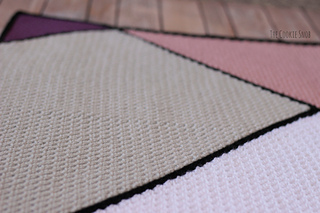 Using the gauge and the sizes of the sections as written, you’ll need 415 yds for the largest section, 315 yds for the next largest, 25 yds for the smallest, 265 yds for the trapezoidal section, and 65 yds for the seams and border (assuming you use the same joining method). 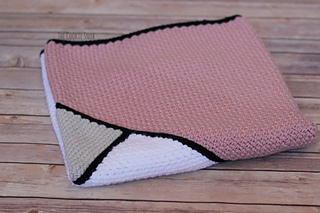 I made mine using a size J (6.0mm) hook.